Rosacea: rosacea is a chronic acne form disorder of the facial pilosebceous units, coupled with an increased reactivity of capillaries to heat, leading to flushing and ultimately to telangiectasia. Although the disease was previously called acne rosacea, it is unrelated to but may coexist with acne, which may have preceded the onset of rosacea. Rosacea is the cause of significant cosmetic disfigurement. Duration of lesions is from days, weeks to months. 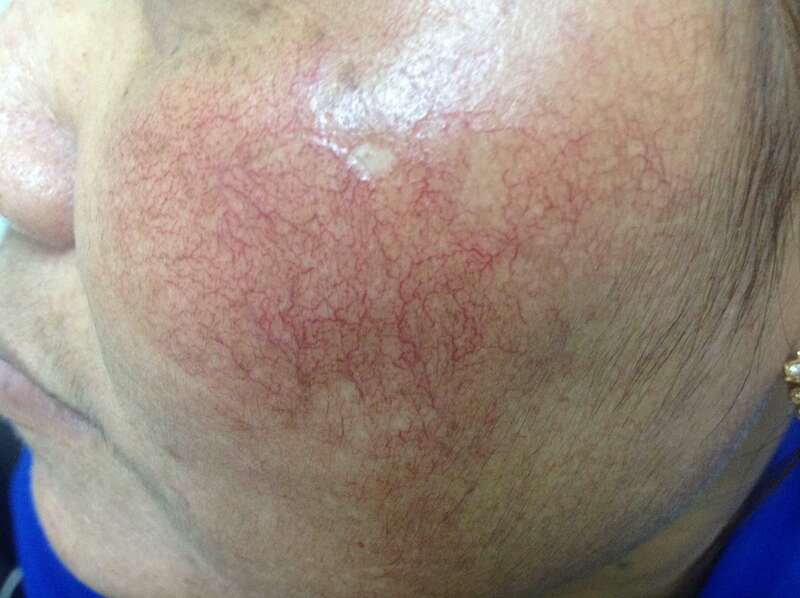 The skin lesions is tiny pimple or pus, and the pus is often small. No comedones. Red face. Chronic rosacea can be causing disfigurement of the nose, forehead, eyelids, ears, and chin. Rosacea can be prevented by elimination of alcoholic and hot beverages may be helpful in some patient. We can manage by topical metronidazole gel or cream twice daily or oral antibiotics the type tetracycline or minocycline for severe disease or if topical treatment fails.